A car traveling at an excessive speed on the 401 rolled over and crashed. 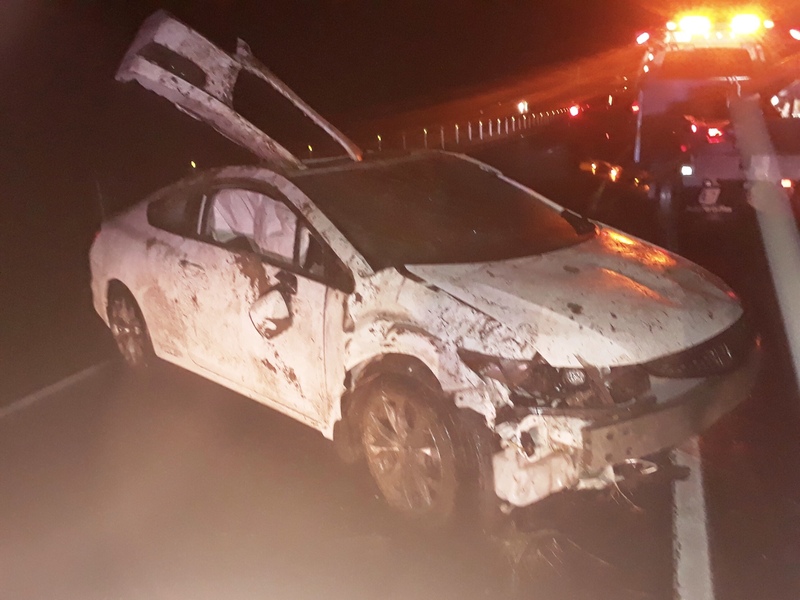 On Thursday, April 11th, 2019 at around 2am, OPP received a complaint of a car travelling eastbound on Highway 401 at a high rate of speed. Chatham OPP officers set up observation for the car near the Essex County/Chatham-Kent County border. The car was captured on radar two separate times, one in excess of 195 kilometers per hour. In the interest of public safety, officers only observed the car and attempted to identify it or the driver while notifying additional units further east to observe for the vehicle. The car continued eastbound and near the 112 kilometer marker, lost control, entered the south ditch and rolled over. Tomasz Szuflicki, age 28 of Toronto was later arrested and was charged with dangerous operation of a motor vehicle and stunt driving. His driver’s license was also suspended.